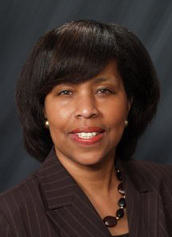 Jacqueline Burgess-Bishop's professional career spans over 30 years and incorporates leadership and consultant advisory roles in multiple segments and of the health care industry. Her experience includes promoting and providing collaborative leadership and solutions to support clinical integration across the care continuum and supporting implementation of population health initiatives. Jacqueline was recently appointed as the Regional Director of Operations, South Cluster, within the Ambulatory Care Division of the Cook County Health & Hospitals System. Her prior experience includes serving as the Regional Vice President for the Chicago and West Cook markets of the Illinois/Lakeshore Division of the American Cancer Society, the Vice President for Program Services for Habilitative Systems, Inc.(HSI), where she provided leadership to implement clinical models across multiple service lines and directed the assessment and implementation of a start-up social entrepreneurship venture. During her career, Jacqueline provided leadership and direction for the ambulatory Occupational Health network as part of the management team at Mercy Hospital of Chicago. Jacqueline’s consulting and entrepreneurial experience was enhanced as the President and Founder of Burgess–Bishop Enterprises, Inc. (BBE), a Chicago based management consulting firm, providing client services in the areas of change management, strategic and facility planning, managed care assessment for ambulatory and home care markets. Jacqueline held leadership, marketing and division profit responsibility as the Vice President, Professional Services at ArcVentures, Inc., a former subsidiary of Rush University Medical Center in Chicago, Illinois. Jacqueline is board certified as a Fellow in the American College of Healthcare Executives. Ms. Bishop is a Fellow of the 1996 Class of Leadership Greater Chicago (LGC), where she currently functions as the Co-Chair for the LGC-Unleashed Health Care Group. Jacqueline has served on local and national boards, including National Treasurer and National Committee Chair roles for the National Association of Health Services Executives (NAHSE) and the National Minority Organ Transplant Education Program (MOTTEP). She is an INROADS alumnus. Jacqueline has a Masters of Business Management degree (MBA) from the J. L. Kellogg Graduate School of Management, Northwestern University, Evanston, Illinois. She earned her B.A. in Biological Sciences from Northwestern. Jacqueline is the recipient of professional and civic awards. Most recently, she is the recipient of the 2013 National President’s Award from NAHSE. As a former NAHSE Chicago Chapter President and Chapter Treasurer, Jacqueline looks forward to serving in an interim role as Chapter Treasurer while helping to develop the next generation of Chapter leadership.